Shivam Builders was established in 1989 as a real estate development company in Gujarat. Since inception the company has always strived for benchmark quality, customer centric approach, robust engineering, uncompromising business ethics, timeless values and transparency in all spheres of business conduct, which have contributed in making it a preferred real estate company in Gujarat. The company is an ISO 9001:2000 certified company. Shivam Builders have set benchmarks by putting up magnificent residential & commercial projects like Rajvi Complex, Rajvi Tower, Rajvi Arcade, Rajvi Emerald, Rajvi Sapphire & more, with an enviable track record of delivering. Shivam Developers have journeyed in this industry and the incredible volume we have built is a reflection of our deep passion, commitment and expertise. 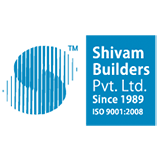 Shivam Builders is an organization where excellence in every sphere of construction is our motto.